Advances in Applied Sport Psychology aims to bridge the gap between research and practice in contemporary sport psychology. 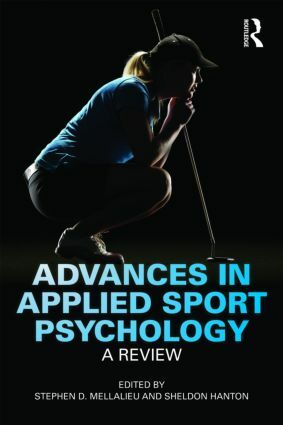 Now available in paperback, the book draws together reviews of cutting edge research in key areas of applied sport psychology, assesses the implications of this research for current practice, and explores future avenues of research within each thematic area. Representing the most up-to-date review of current scientific research, theory and practice in sport psychology, this book is a vital resource for all advanced students, researchers and practitioners working with athletes and sports performers.